Rasta spices are used to make seasoning blends that can be dry or wet rubs for marinating sweet and savoury foods. The most famous of these seasoning rubs is Jerk. Some of these spices are pimento, cinnamon, vanilla, nutmeg, ginger, tamarind, black pepper, peppers, chocolate and turmeric. 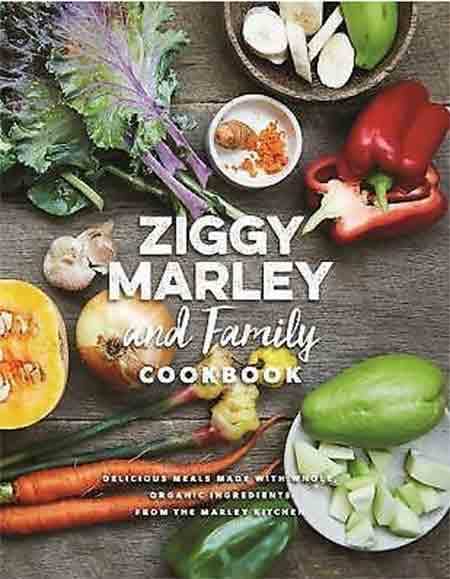 Culinary spices are used extensively in the Rasta Ital Diet. Simple food can be enhanced and flavoured by these medicinal spice blends. The barks and leaves of some of these plants are also used to smoke food in the cooking process or added to drinks and vegetable dishes and soups. It is definitely true that the Rastas food is their medicine and when you understand the powerful medicinal properties of most of these plants you can see why this is so. Buy bulk spices online, below is a list of spices to make your own spice mix or seasoning blends. Pimento is from the family Myrtaceae and is a native of the West Indies and is a small scrubby tree similar to the Bay Tree. Pimento looks like a large black peppercorn, but it’s flavour is a mixture of cinnamon, clove, nutmeg, juniper and black pepper hence the name allspice. The dried fruits are picked when green and dried in the sun. Pimento is a spice associated with authentic Jamaican food. The Rastafarian Ital diet is vegan, however some Rastas eat fish and meat. Pimento is associated with seasonings for meat and fish and spice rubs are made grinding up many different spices to make traditional Jerk seasoning. For the strictly ital diet pimento is utilized in many ways as spice rubs or seasoning blend for vegetables or simply added to a soup for depth of flavour. It is cultivated in Jamaica, Cuba, Lesser Antilles, Trinidad, Mexico and Honduras. It is also one of the Cajun spices. The leaves and wood are used for smoking food and the leaves are also added to soups like the Bay Leaf and removed after cooking. Black Pepper is known as the King of Spices and originates in southern India. It is also cultivated in Brazil, Indonesia and Madagascar. Black peppercorns are picked as an unripe green berry which then becomes black when dried in the sun. The main flavour is a substance known as piperine. Piper nigrum is a flowering vine. Black Pepper is used in spice rubs such as jerk but is also used to season and flavour soups, sauces and vegetables by the Rastas. Chocolate is not technically a spice and has already been discussed in Rasta Tropical Fruits although it’s not really a fruit either. It is an exotic aromatic with exceptional medicinal properties. The ancient Mayans used it is hot drinks. Rastas ferment, dry, roast and crush the nibs or pieces, then further grind into a sticky mass containing fiftyper cent cocoa butter. These round chocolate balls when hardened are then grated into drinks to which cinnamon, nutmeg vanilla can be added. Cinnamon is the bark from a small evergreen tree to 15m. It belongs to the same family as the Bay Tree, Lauraceae. Cinnamon is a very ancient spice. It is mentioned in Exodus 30. 24 in the Bible. Cinnamomum zeylanicum is known as true cinnamon and is not to be confused with Cassia Cinnamomum burmannii or Saigon Cinnamon Cinnamomum loureiroi. The Cinnamon bark and leaves are prized by the Rastas. They are used in herbals teas and drinks with chocolate and chilli. The leaves are also added to curries and vegetables. Coconut cakes can be flavoured with Cinnamon or other desserts. Cinnamon is another powerful Rasta Medicine. Ginger is indigenous to Southern China but has spread to Asia, West Africa and the Caribbean. India is now the main producer and exporter. It is a rhizomatous herbaceous perennial and is used in herbal teas, vegetable dishes, pickles, chutneys, curry pastes, desserts and wines and drinks. Jamaican Ginger which is a pale buff color is regarded as the best variety, Kenyan Ginger is also good. Ginger is also a very potent medicinal plant, see Rasta Medicines. Whole nutmeg is from the plant family Myristicaceae and is not actually a nut but the kernel of an apricot like fruit, a thin leathery tissue between the stone and the pulp. Bright red to purple when harvested and turning amber on drying. It originated in the Moluccas and is produced today in Indonesia and Grenada in the West Indies. Nutmeg and Mace have similar tastes, but nutmeg is sweeter and mace more delicate. It is used to flavour drinks and cakes and has strong medicinal qualities. Tamarind, a tropical deciduous tree to 20m, originating in East Africa but cultivated in Southern India and the Caribbean. The spice is the ripe fruit or pulp of the pods. It is used in drinks, with vegetables, in marinades, chutneys, herbal teas and curries. It has strong historical significance and Persians referred to it as Tamar Hindi. The pulp leaves and bark have medicinal properties. It is one of the ingredients in Jamaican Pickapeppa Sauce. Tumeric is from the Ginger family Zingiberaceae. Like ginger it is a rhizomatous herbaceous perennial plant. The root provides a strong yellow dye. It originates from Southern Asia and is used extensively in Indian Cooking. It is known as an appetite stimulant and digestive and is often used as an inexpensive substitute for saffron. The rhizomes are boiled for a few hours and then dried in hot ovens. They are then pounded into deep yellow powder. It can be added to food fresh or used in pickles. The powder adds a beautiful colour to spice rubs. It can also be added to Vegetarian Ital Curries and to flavour and colour rice. Tumeric is a powerful medicinal plant. Vanilla is from the orchid family Orchidaceae and originated in Central America, West Indies, and Northern South America. The Mayans and Aztecs used the vanilla beans and Chilli Peppers to flavour their drinks. The Vanilla itself is found in the seeds of the Orchid vine Vanilla planifolia which is a native of Mexico. The vine uses its fleshy roots to support itself as it grows. The fruits are produced on mature plants and are long pods, they mature in five months, harvested and then cured. Vanilla Pods are a delicacy and expensive. Artificial Vanilla is easy to make and real Vanilla cannot compete due it’s expensive production. Vanilla is also a medicine and is used in sweets and desserts, but Rastas also use it to flavour their hot chocolate drinks and with a little dried orange peel in their arrowroot porridge.